Lego create boy in wheelchair to join the minifigure community! 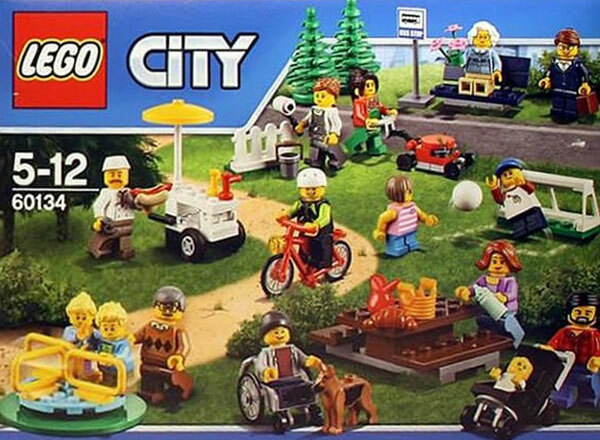 When it comes to minifigures and construction, Lego had seemingly thought of everyone and every playscape possible – or at least we thought they had. Now a new minifigure is joining the ranks – nope, it’s not Nanna, not the hot dog vendor, not even the dad with a pram wheeling the first ever official minifig baby – it’s the wheelchair minifigure and what he represents, that has us celebrating! More and more toy manufacturers are embracing all body types and all abilities. First Barbie was celebrated this week for launching new dolls with more realistic body shapes and now Lego is sharing the diversity in toys spotlight with the inclusion of a wheelchair minifigure in the new 60134 Lego set, Fun at the Park, due for release later in 2016. Perhaps it was the result of pressure felt by the Toy Like Me petition, lobbying Lego to better represent kids with disabilities in its sets or maybe the people at Lego simply felt it was time. Either way, we sure are pleased to see the new addition and we hope to see more hitting the city and creator sets in the future. For even more Lego awesomeness, be sure to check out our vast Lego archives!